Students are overpaying for their accomodation in the majority of UK university cities, according to new data - with those in Exeter, Norwich and Newcastle worst affected. As the new year rolls in, university students everywhere are looking to secure their houses for the next year. For many students, it’s important they find the perfect house in a prime location at a reasonable price. However, students in some cities could be forking out a lot more money for their accomodation simply because they’ve used dedicated student housing estate agents. We compared the price of rentals listed on housing comparison websites (Rightmove, Zoopla and Prime Location) to those on specific student letting agencies. Specifically, we looked at more than 30 4-bed, fully furnished houses in the most populated student areas of 19 UK cities. Generally, we found it was more expensive to use a student-specific service. 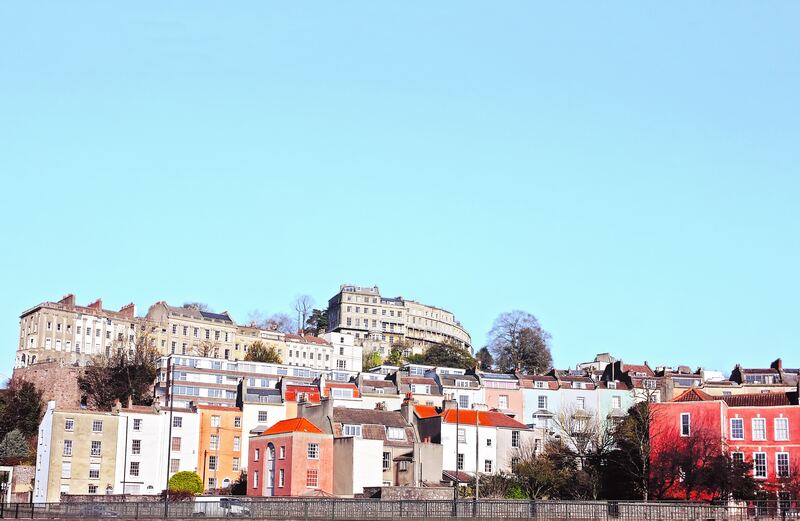 Students in Exeter fare the worst, and could be overpaying by £69 per person per month if they rented a 4-bedroom house via a student letting agent. In a close second and third are students in Norwich and Newcastle, who could be shelling out £62 and £59 more every month. In total we found that rents were at least £10 greater on student letting agents' websites than comparison sites in 9 cities. Houses on Rightmove in Bristol and Bournemouth were actually £40 and £28 more expensive than on student estate agents' websites, respectively. 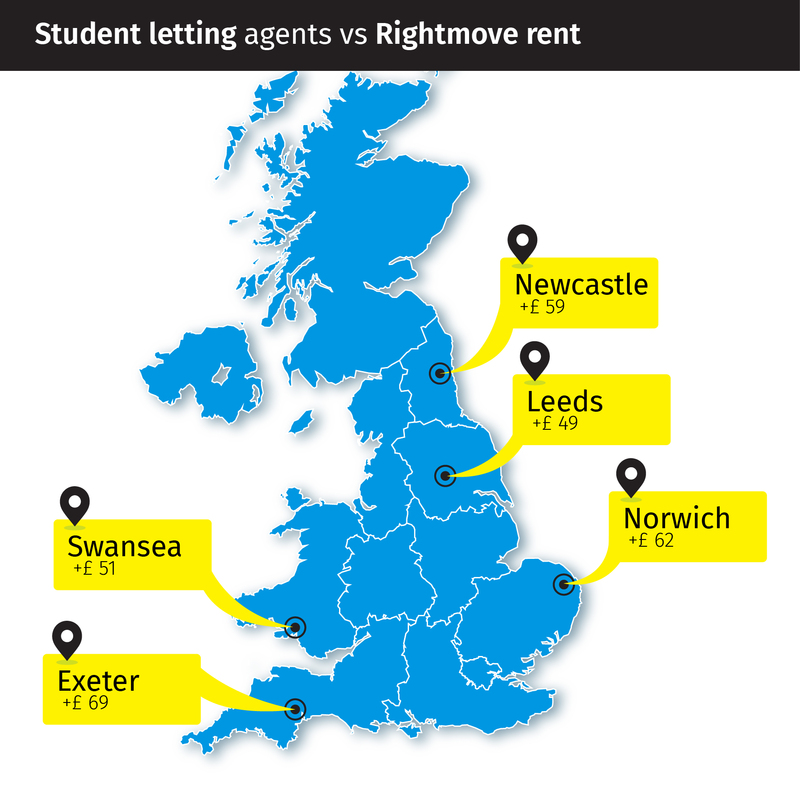 But both cities seem to be anomalies, with the majority of student letting agents charging more for rent than local estate agents on Rightmove. We’ve also found the most expensive student areas in the UK. Unsurprisingly London leads the way, with students in the capital paying £961 a month. Next in line is Durham, where the average rent sits at £546 a month. 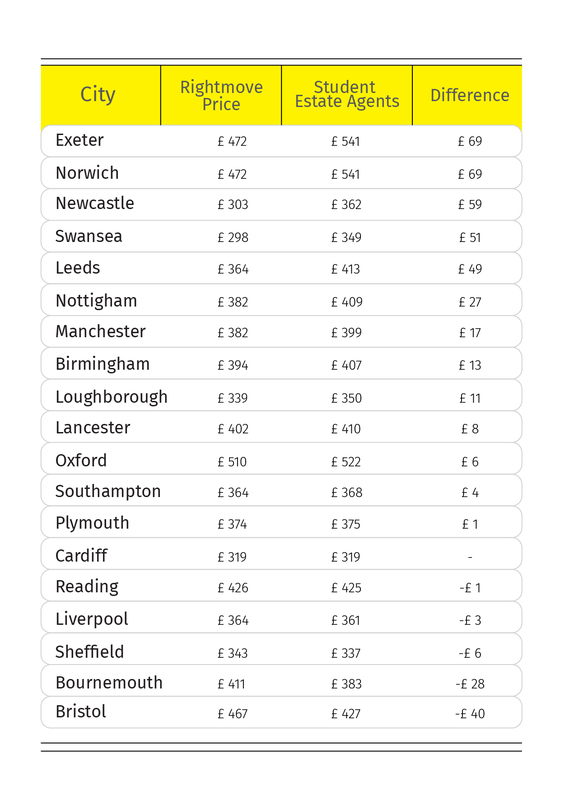 Nipping closely at Durham’s heels are Oxford and Exeter where you’ll pay £519 and £507 each month. 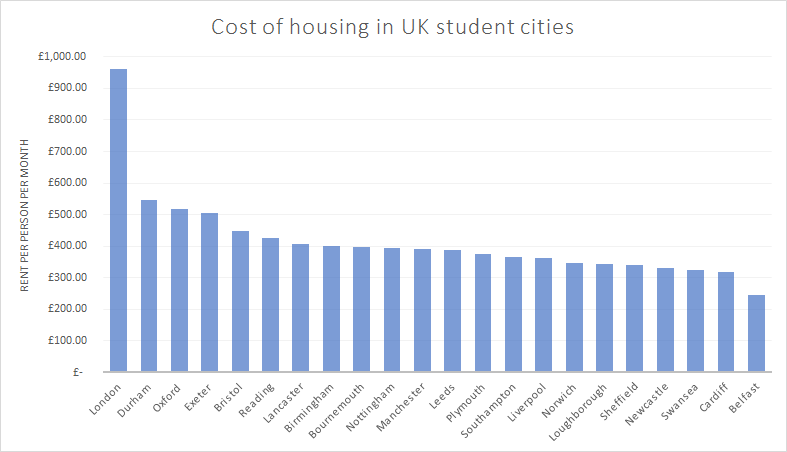 Belfast is the city with the cheapest student houses. Coming in at less than half the cost of the top three, rent in Belfast will cost you as little as £246 a month. Students in Wales can also take advantage of affordable rent. The average monthly rent bill comes in at around £319 for Cardiff and £324 for Swansea. 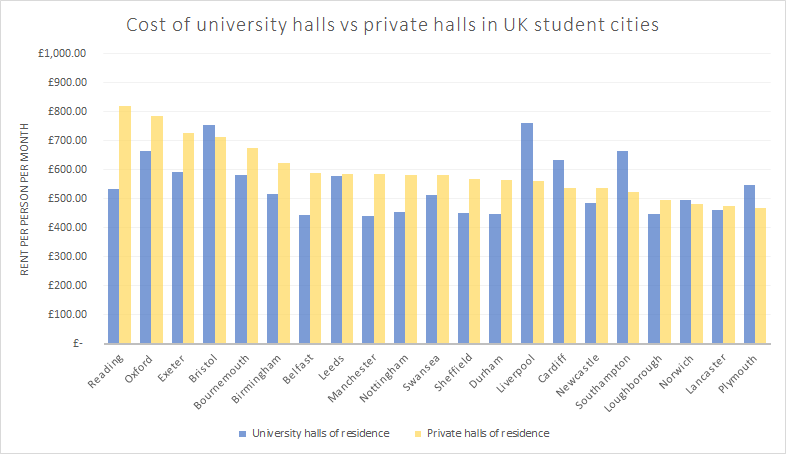 We’ve also looked at the average price of living in halls owned by the University, compared to those which are privately owned. Most privately-owned halls are more expensive than university-owned halls. In the case of Reading, the average room in private accommodation can cost you £286 more than in the university's halls of residence. The pattern of private accommodation costing up to three figures more than university accomodation holds in 8 other cities (see table). However, in some cities, renting a room owned by the university will not be your cheapest option. In Liverpool, Southampton, and Cardiff, students can rent a room in private accommodation for an average of £100 less a week than university accomodation. The main lesson from our research is to always look for a property at both Rightmove (and other property comparison sites) and through a student-specific letting agents to find the best deal possible. If you find a property that you like on a student letting agent's website, double check whether it’s listed on Rightmove as we sometimes found the exact same property for less. If you find your perfect property through a student letting agent, take note of its features and run those through Rightmove's advanced search. You might find a cheaper property with the exact same specifications. If you're set on staying in halls, make sure you compare the price of private halls and university halls of residence, as the price varies greatly dependent on what kind of room you're looking for.